Bentgo Kids Brights adds a colourful twist to Bentgo's popular line of innovative bento-style lunch boxes for active kids on the go. 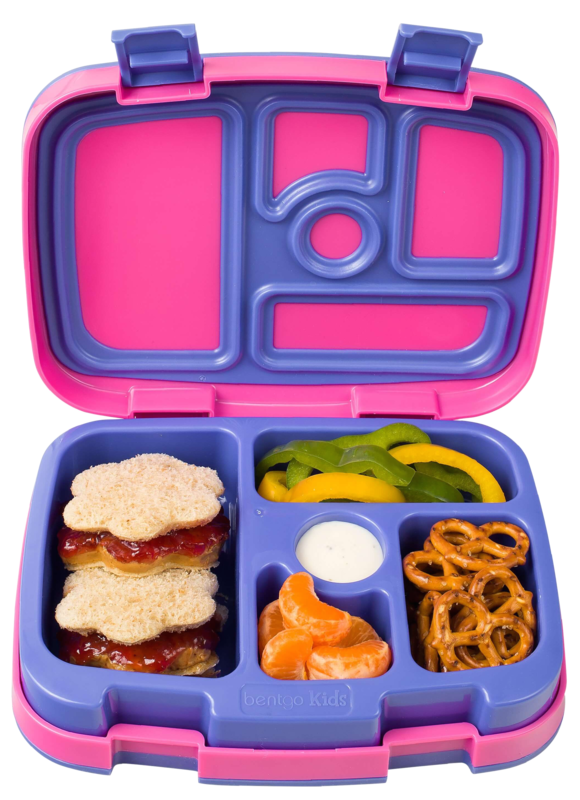 What makes Bentgo Kids Brights so much fun is the endless combinations of nutritious foods you can pack in the five convenient compartments. The largest compartment is the perfect size for a half sandwich or salad. 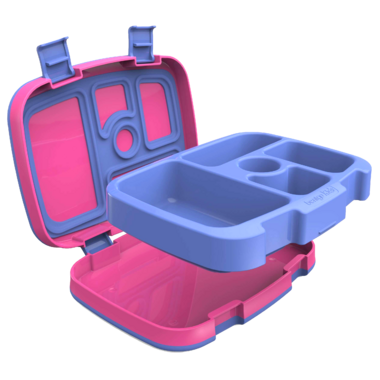 Three mid-size compartments are great for fruit, veggies and other snack favourites. The smallest compartment is sized just right for dipping sauces. ild/) looking for a lunch box that my daughter, who is 2.5, could open herself. We love this lunchbox. Super easy to clean and makes for a perfect sized lunch for my little lady!